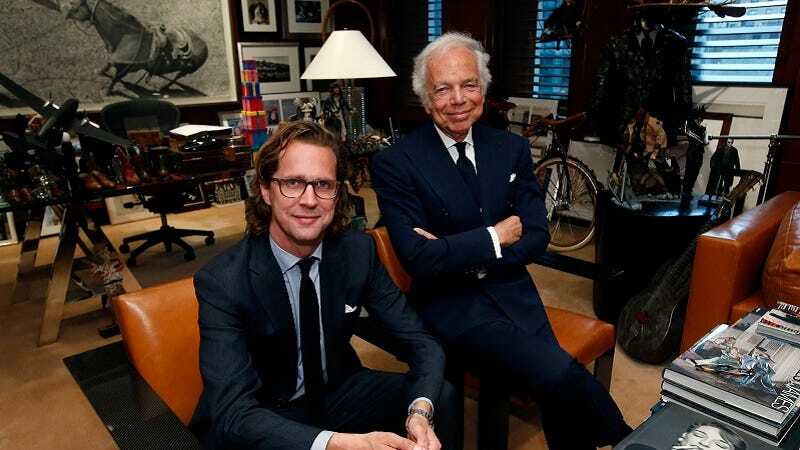 Ralph Lauren, a designer virtually synonymous with a certain preppy-American country club aesthetic, is stepping down from his post as CEO of the company that bears his name. Stefan Larsson, a former H&M executive and president of Old Navy, will replace Lauren in November. The New York Times reports that Larsson is highly regarded in the industry, credited with “reviving” Old Navy, Gap’s discount retailer, which has been the best-performing member of the chains. Old Navy currently accounts for 40 percent of the corporation’s total revenues. Today, stocks at Gap are down and stocks at Ralph Lauren are up. Though Larsson will be stepping in as CEO, Lauren won’t be going that far; he will remain with the company he founded, becoming the executive chairman and chief creative officer of the company.